Amazon $80 trade-in BONUS towards a PS4! 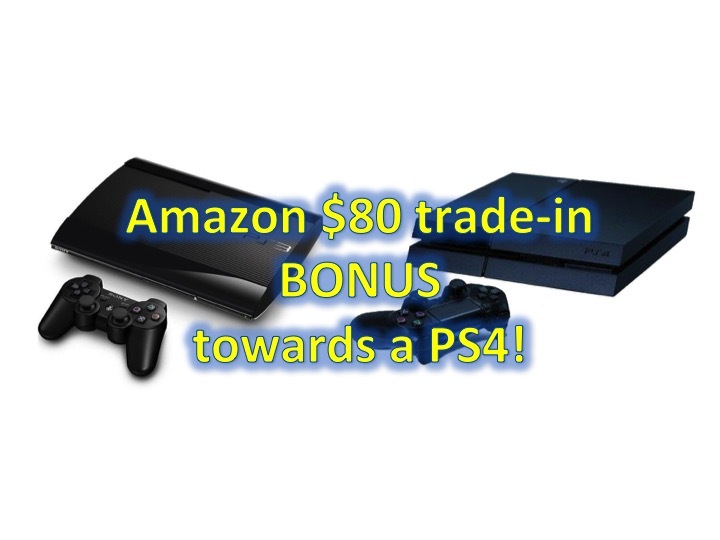 You are at:Home»COLUMN»Amazon $80 trade-in BONUS towards a PS4! Normally, I would not recommend trading in items, you’d get more money selling it yourself. However, if you are in the market for a PS4 and you’re looking to trade in your current PS3 – you’ll get an $80 bonus discount applicable towards the purchase of a PlayStation 4 from Amazon. Combined with the trade-in value of roughly $100, that’s $180 towards a PS4. If you are interested in taking advantage of this offer, a couple of notes. First, you will have to drop this off at a UPS location (so hopefully you are close to one). Shipping will be free, you will not have to pay for shipping the item. Also, you will receive different dollar amounts based on the condition of the item, either way its still a lot more than what you will receive at Gamestop! 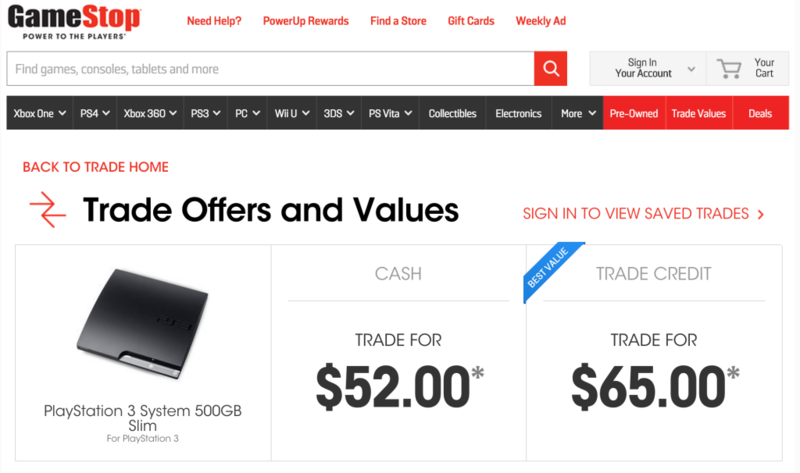 In comparison, Gamestop will offer you $65, for your PS3! If you’re ready to upgrade to a PS4, or want to learn more about the trade in, click on the banner below to take advantage of the $80 credit trade up offer!